A new article by a Swansea University researcher has called for a rethink on tropical marine conservation efforts, as people who previously relied on coral reefs for food and income are increasingly looking to alternative habitats which is putting pressure on the animals that inhabit seagrass meadows. In an article in Current Biology, Dr. Richard Unsworth from the University's College of Science, has revealed that people are relying on coral reefs less for their livelihoods as the reefs are increasingly under threat and facing an uncertain future due to increasing rates of climate change and rising global temperatures. Instead, the article shows that people are looking to seagrass meadows as a means for fisheries support, but this is putting these habitats under increasing threat around the world. There is now an urgent need to broaden the focus of tropical marine conservation. Although seagrass is globally widespread, there is evidence of rising levels of degradation due to local water problems and physical disturbance, but these are factors that can be managed at local scales. Unsworth said "With the right support there can be a brighter future for seagrass". While the decline of coral reefs has garnered a great deal of attention and conservation efforts, Dr. Unsworth says that the time is right for the tropical marine conservation community broadened its focus and become more realistic. Conservation efforts, it is argued, can no longer afford to focus exclusively on coral reefs but need to also safeguard seagrass into the future. There is an increasing focus on costly fanciful ideas to save coral reefs, but no recognition of thinking across the broader tropical marine seascape to rationalise where resources could be more efficiently focussed. Dr. Unsworth said: "Governments, NGOs and communities need to increase and reprioritise conservation efforts and use their limited conservation resources in a more targeted manner in order to attain sustainable systems. For seagrass, there are practicable conservation opportunities to develop sustainable ways to respond to increased resource use. Targeted action now could restore and protect seagrass meadows to maintain and many ecosystem functions they provide." 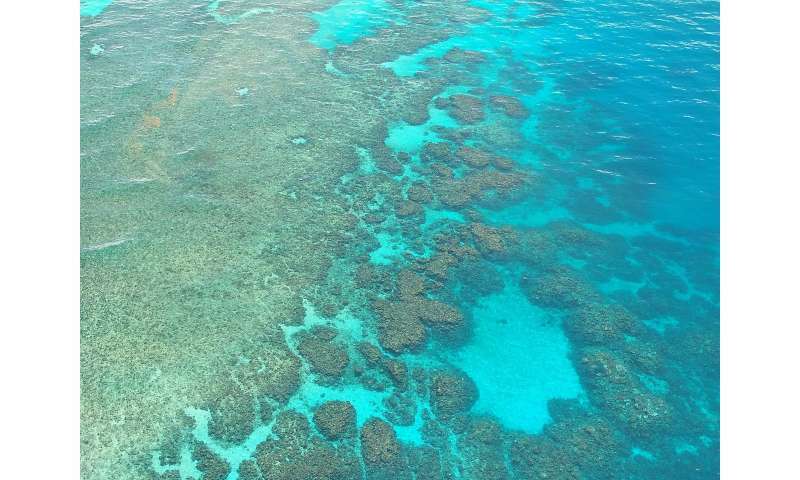 Dr. Unsworth ,who published the paper with collaborators at Cardiff University, Uppsala University and James Cook University said: "There are some coral reef conservation 'bright spots' that indicate the potential for some coral reef survival. But in order for our tropical seas to continue to be able to support fisheries and people, we urgently need to focus on protecting ecosystems and biodiversity that provide the most critical ecosystem services while having the capacity to remain intact in a future climate. "Seagrass meadows are one of those ecosystems and their conservation is paramount for the continued livelihoods and food security of many hundreds of millions of people. The time is right for global conservation efforts to conserve seagrass ecosystems."